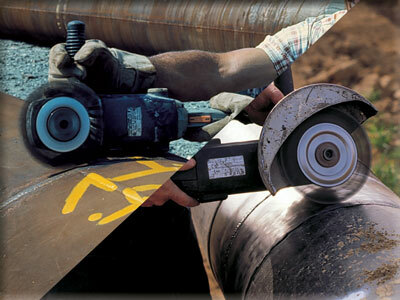 In the Pipeline sector, from the production of the tubes to their laying the brushing is very important throughout the various stages of processing. 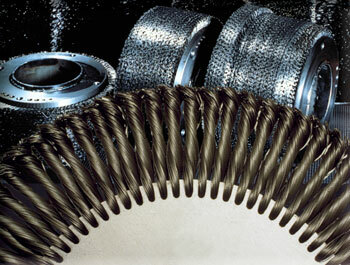 SIT offers a wide range of very high quality brushes tested and appreciated all over the world. 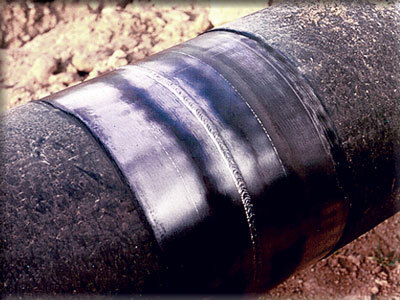 The preparation of the weld joint and thand cleaning of the welding seams are very important operations in the laying of the pipeline. 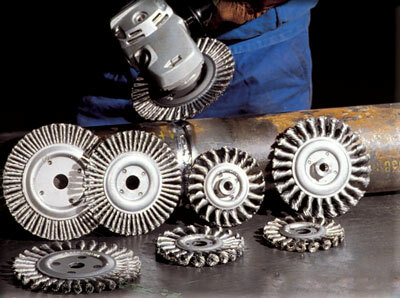 The working conditions not always optimal require the maximum performance of the work tools. 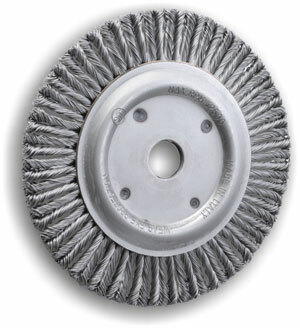 The choice of a performing brush affects beside a higher efficiency of processing also a lower consumption of the object and the resulting savings during setup to replace the brush. 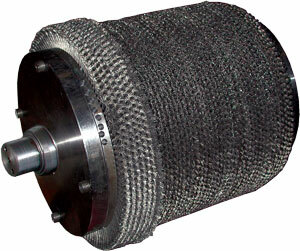 This translates into economical savings and into a higher safety for the user. 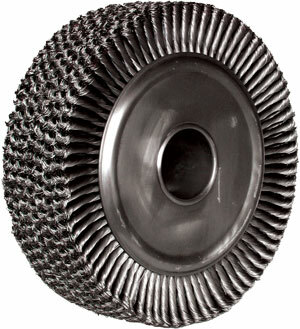 Wheel brushes U The twisted knots wheel brushes of the U series in diameters from 100 to 180 have a thickness of 13 mm and are especially suitable for the second touch and for the removal of tenacious waste. 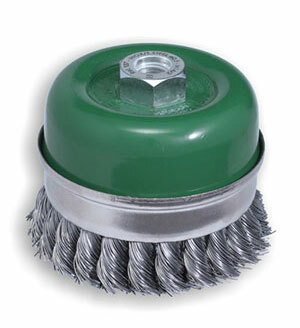 Wheel brushes UZ The brushes of the UZ series having diameters from 115 to 178 are 6 mm thick and have a higher number of knots. 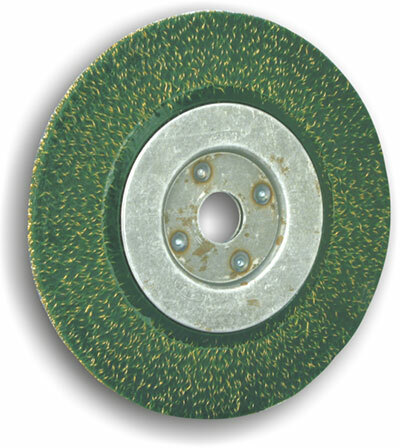 They are designed for brushing the first welding, but are also suitable for the removal of slugs inside every type of crack, no matter how small. 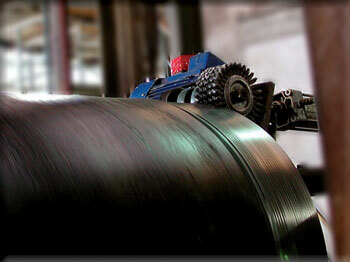 The chemical and mechanical characteristics of the iron wire, along with the outstanding manufacturing procedures offer the users both high results for aggressiveness and durability. 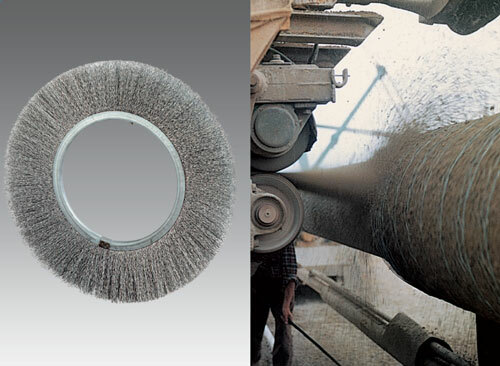 Cups TU Together with the above-cited types of brushes, SIT is pleased to provide the TU series, twist knot cup brushes, having a diameter from 70 mm. 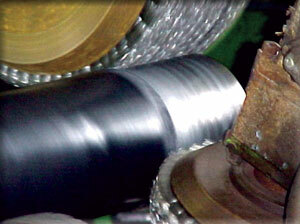 up to 150 mm., with both 1 and 2 twist knot rows. 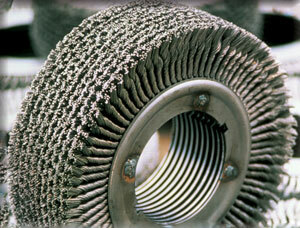 They are indicated for cleaning purposes, in order to remove thick and persistent slugs over constant surfaces. 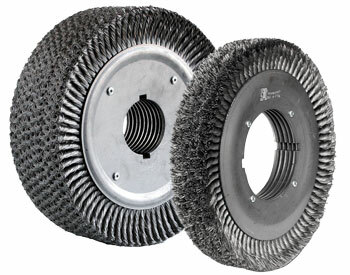 Wheel brushes CV The Vulcanized wheel brushes of the CV series having a diameter of 178 mm and a thickness of 6 mm, are made of an iron ring drowned in a polyurethane solution. 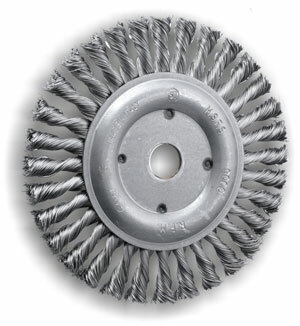 The main characteristics of this type of brush are: regular trim wear out, constant and regular abrasive face width, filaments that won't break and therefore higher safety for the user. 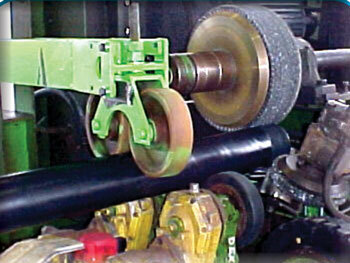 L'coating removal in polyethylene, polypropylene or epoxy resin from the tube ends is a critical operation and a performing brush strongly affects the productivity and the quality of the result. 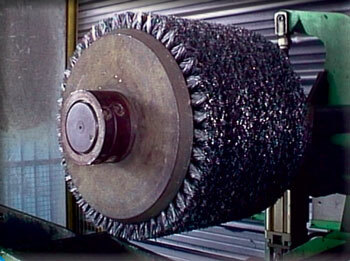 For this application are used higher quality Twist Knot Wheel Brushes in Tempered Steel composed of several rings provided both separately and assembled (ANU). 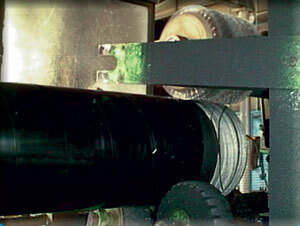 The Concrete Coating is the operation which allows to form a layer of concrete on the external surface of the tube. In case of submarine pipelines to avoid that the buoyancy, being higher than the weight of the tube, make it float, it is usually burdened with a special external coating in reinforced concrete, usually shotcrete (external concrete coating). the external concrete coating is applied onto the external coating standard of the pipes (dense asphalt surface, polyethylene, etc.) using special machines. 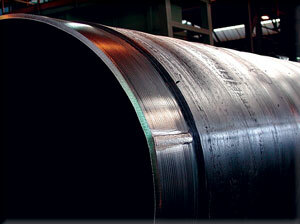 The concrete layer has a function of corrosion passive protection and of burdening of the pipeline. 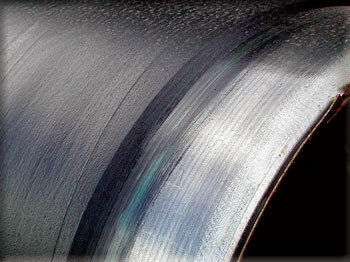 The concrete is sprayed on the surface of the tube with a cylindrical brush made of rings INCO with driving pin, the filament is made of very high resistance crimped iron.